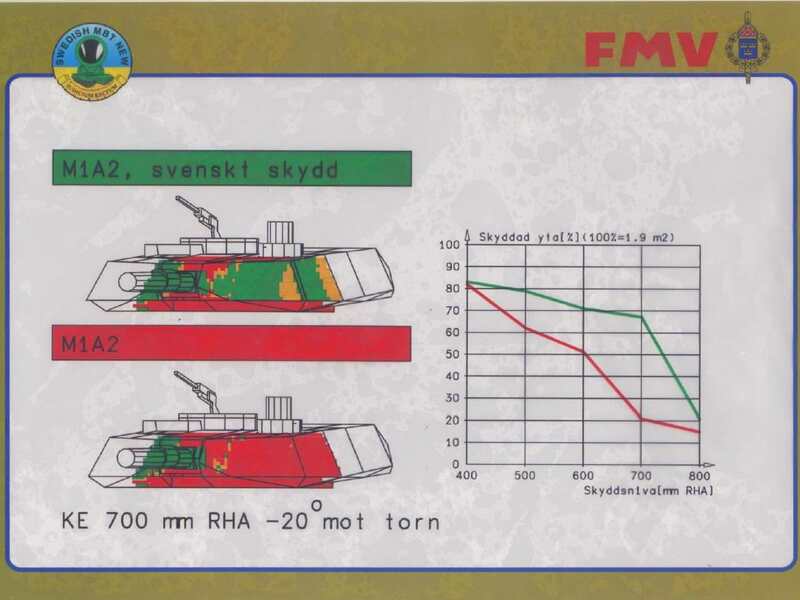 It depends on which armor package the Norwegian Leopard 2A4s are fitted with; the armor packages from 1987 and 1992 (or at least this is what I think the graph shows) would still be able to withstand older Soviet/Russian APFSDS ammo at long ranges. Don't forget that the majority of the Russian tanks seems to rely on Vant and Mango. Only the newer vehicles (T-90, T-90A and Sprut-SD) and upgrades (like the T-72B3) can utilize higher penetration APFSDS. So its still "good enough" to deal with the majority of the older tanks and IFVs. 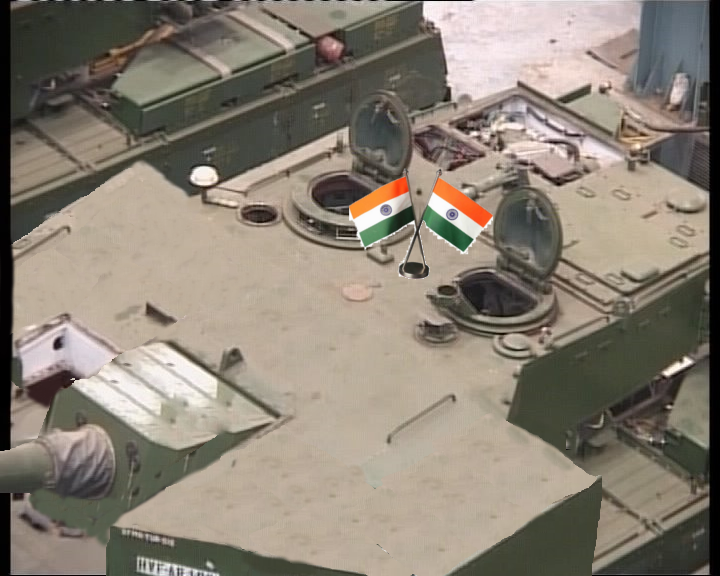 Now that the BMP-2 will receive Kornet and the T-72B3 is being adopted in larger numbers, it is time to upgrade. 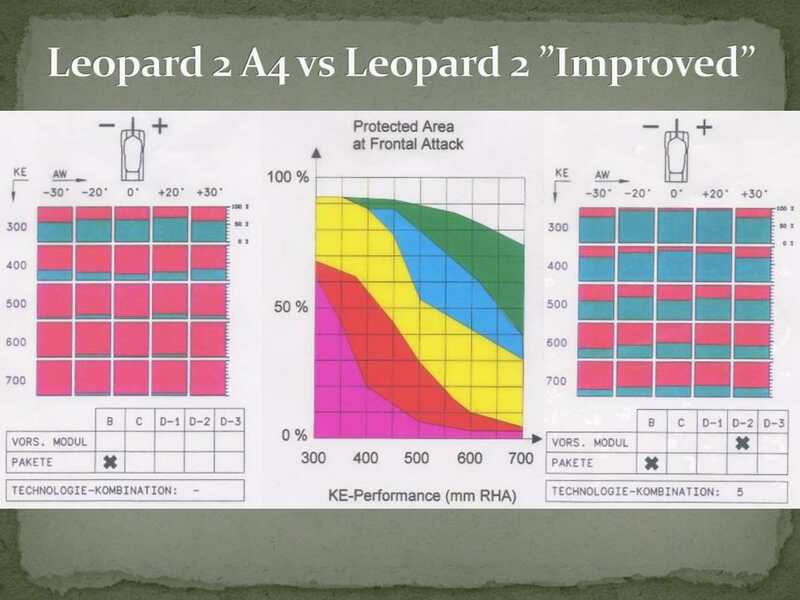 If the CV90 -120T is not fitted with an active protectiton system, then it is not really better than the Leopard 2A4. It is a larger target (higher hull and turret, wider hull), while probably providing similar mobility and less protectiton. Only the lighter weight and the more advanced FCS make it superior. 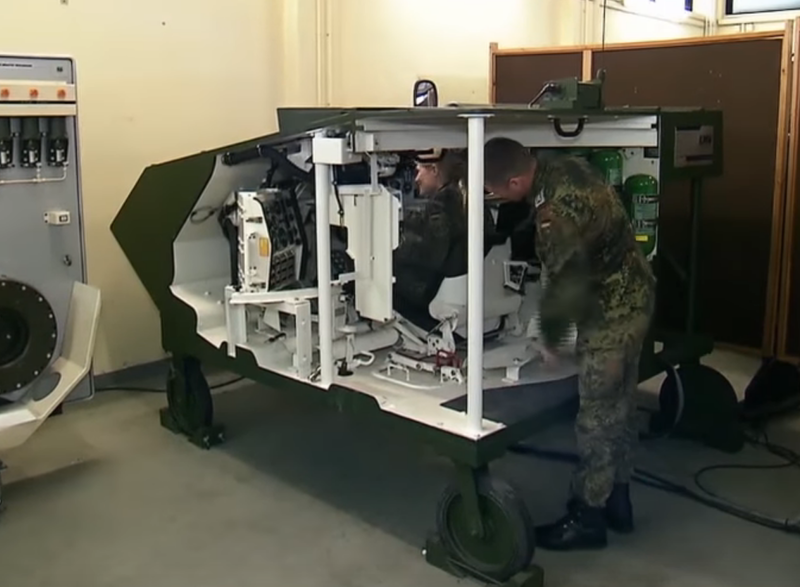 Buying an armor package (AMAP) and adding new electronics seems to be a much better idea IMO. PS: Also confirms DM33 penetration to be 470 mm at 2,000 m distance, 540 mm at 200 m distance. 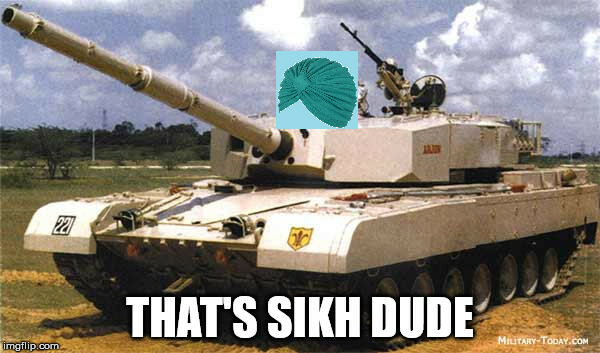 Well, every tank has a gun mask to fit the gun. And it's a week zone. Welded turret is the same. Guys what kind of rough KE and CE protection estimates would you give the Leclerc ? I've been wondering about the protection difference between the Swedish version and the German version. 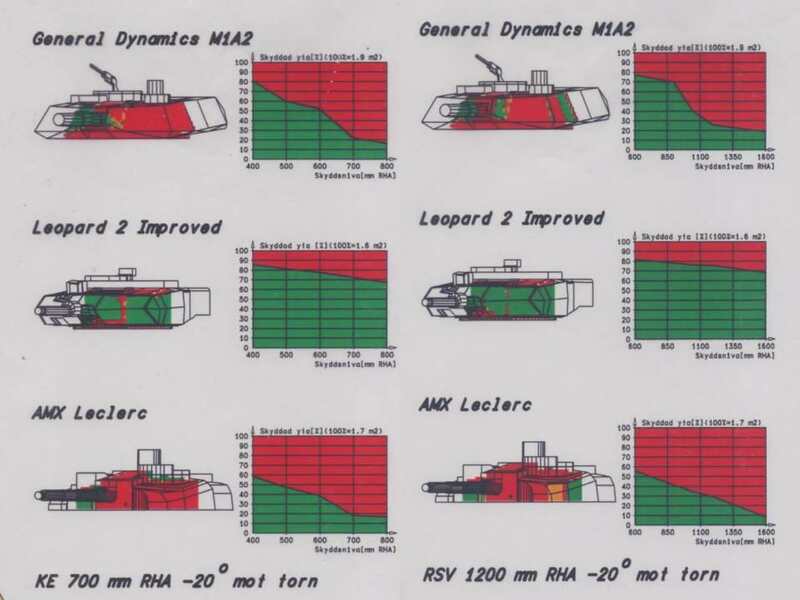 What I found very odd is the table on the last slide I originally posted, which list the Leopard 2 Improved with Vorsatzmodule of the generation "D-2" and internal armor of the generation "B". I think this might be a reference to which prototype was send to Sweden for tests. 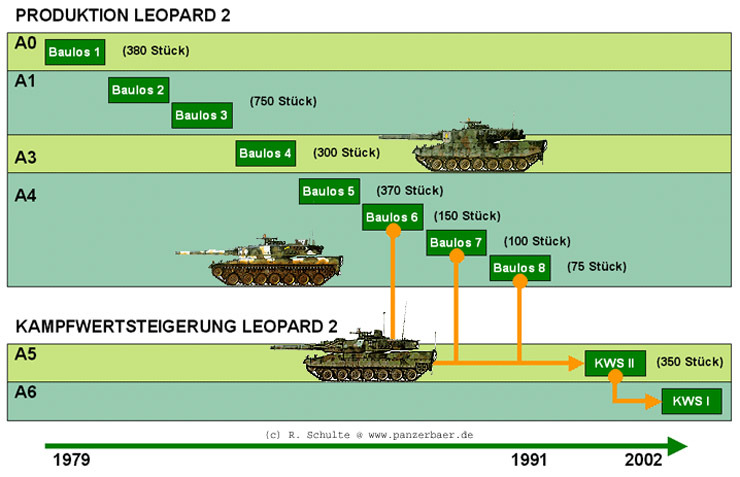 The original Leopard 2 Improved prototype was the Komponentenversuchsträger (Leopard 2 KVT; "component test bed"), which was based on the chassis number 20825 (the 825th tank made by Maschinenbau Kiel). Based on this number, it appears that the hull (and turret) were made as part of the 6th Leopard 2 batch (the second batch of 2A4 tanks) made between January of 1988 and May of 1989. The previous batch (batch number 5, first batch of Leopard 2A4 tanks) was produced between December of 1985 and March of 1987, while the last batch of Leopard 2A3 tanks ended with the chassis number 20644 for MaK. Given that 45% of all German Leopard 2s were made by MaK and the 5th batch consisted of 370 tanks; therefore I assume that the 5th batch ended with the chassis number 20810 or 20811. The first 96 tanks of the sixth batch were made with the old armor, therefore the chassis number 20825 would fall into that category. The later Leopard 2 Improved prototypes (Truppenversuchsmuster Maximum and Truppenversuchsmuster Minimum, "troops trial model maximum/minimum") were based on the chassis numbers 11156 (TVM max) and 11157, which were made by Krauss-Maffei and belonged to the 8th batch (the last batch of tanks for the German Army) made between January of 1991 and March of 1992. The turrets were all taken from the 1st batch, so they probably replaced the armor inserts and upgraded them to "C" or "D-1/2/3" level. 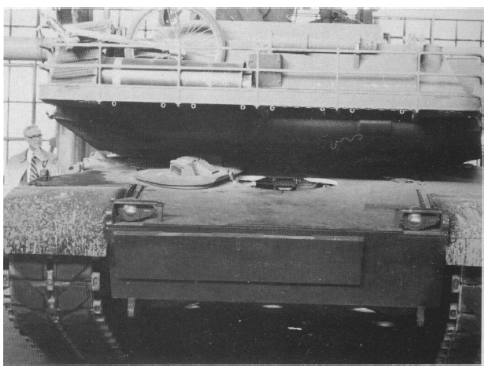 According to the book by Scheibert, the armor modules in the turret were replaced. 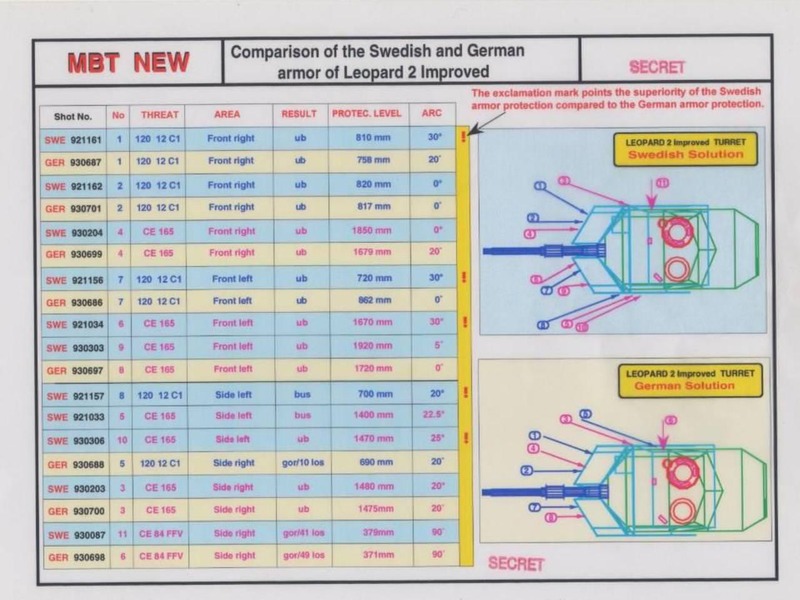 According to one issue of the Waffen-Arsenal magazine (" Leopard 2 A5 - Euro-Leopard 2 " by Michael Scheibert), the Leopard 2 tested in Sweden was either a KVT/TVM mix or they tested both variants (not written clear enough for me to understand what was the case). 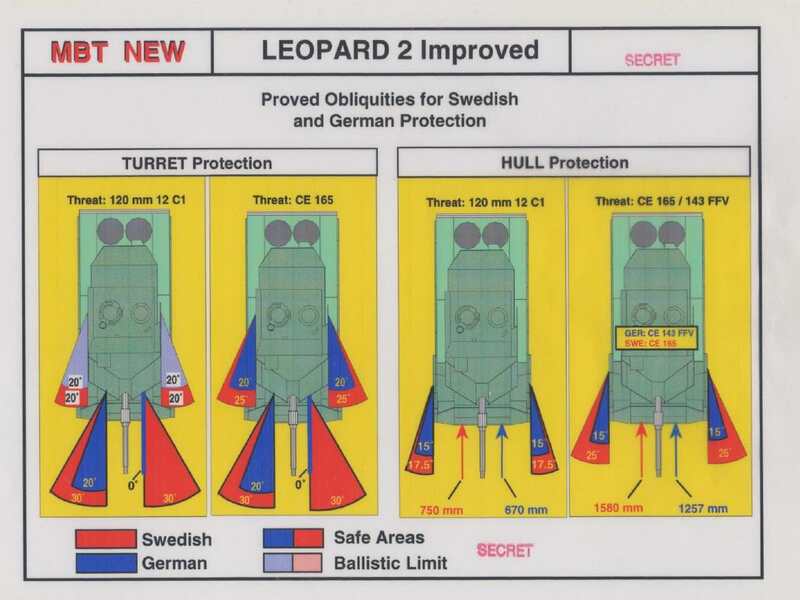 In theory this might mean, that the higher level of protection of the Swedish variant is just the result of using "C" or "D-1/2/3" level armor inserts with the same Vorsatzmodul. Yes, that's true. However I've never seen a cast turret with composite armor in the gun mask and Soviet gun masks tended to be thinner. Also the composite filler of the turret always ends a few centimetres away from the gun mount. A true treasure that has been found. Finally some official figures about armor values. i want to see more !!!! Are there any reliable estimates for the Challenger 1 ? The LOS thickness of the turret Chobham modules seems to be around 750 mm. I am not sure how thick the base turret is at the front. it seems that the Challenger (1983) could have a LOS thickness of 800-850. Could the British be capapable of producing a KE resistance of 620 mm RHAe for a LOS thickness of up to 850 mm? The 1980 M1 Abrams LOS thickness seems to be around 740 mm generating a KE resistance of around 400-440 mm RHAe. For the 1993 early export M1A2 tank we have KE resistance of around 650-700 mm RHAe from the front for a LOS thickness of up to 940 mm. Could the Brits be that far ahead in 1983? 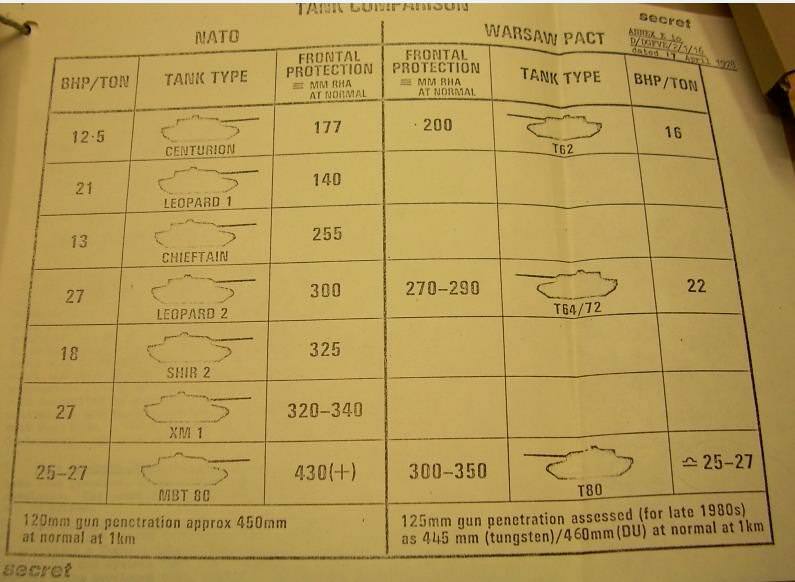 Also, what do you guys think about this estimate for the Leopard 2A1 for APFSDS rounds of the late 1970s? - hull upper glastic is at least 320mm RHA, turret roof - no less then 320mm RHA too (my 580mm could be overestimeted - there is no more then 50mm RHA on this part of the roof -not 70mm *my mistake). -The block in front of the lower part of the EMES 15 does not seem to be not much thicker than 320 - 350 mm. The plate where the EMES piece penetrates does not seem to be much thicker than 300 mm. -The special armor turret sides seem to be around 310 mm thick. 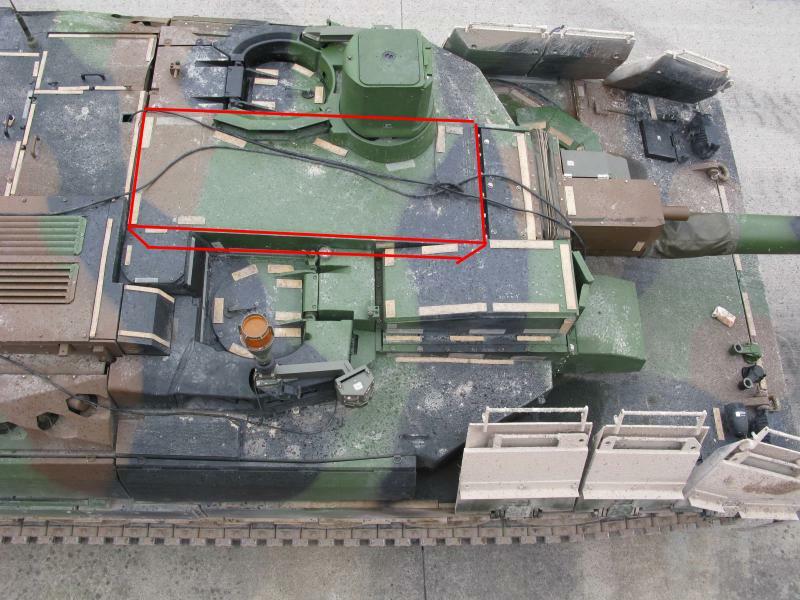 -The thickest part of the of the turret seems to be the left turret face with 820-840 mm. - The front turret roof seems to be about 45 mm thick. - The turret roof seems to be about 30 mm thick. - The front hull roof over the driver seems to be about 30-35 mm thick. -The front hull /glacis seems to have a varying LOS thickness of 570 - 675 mm. - The left turret face and right turret face seem to have different special armor thicknesses. 650 mm vs 830 mm on average. The heavy side skirts seem to be around 105 -110 mm thick. Great but i used the Leopard 2 plans provided by Rolf Hilmes and measurements. Also you should have told that female sergeant to chill and go make you a sandwich! Also, would you have measurements of the interior of the commanders and gunners stations ? That would be really useful! Great but i used the Leopard 2 plans provided by Rolf Hilmes and measurements. Yes, i had tried to do the same using all posible plans. And finnaly - it was nacessery to go and masured it by myself couse mesure made on draw was really inacurrate. Unfotunatly I haven't opportunity to measured other crew station despite driver -slopped inner backplate is starting 3cm from edge of the hatch. This asymmetric LOS thickness has confused me for a while. how can a 650 mm block offer the same protection of a 820-840 mm thick composite block ? How can 320-350 mm thick composite block, 360 mm EMES 15 space and a 300 mm thick composite block (970-1000 mm LOS total) offer the same protection as a 820-840 mm composite block? The Challenger 1 is based on the Shir Iran 2 main battle tank designed for Persia. According to British data, the Shir (Iran) 2 prototype's armor offered protection comparable to only 325 mm steel at the frontal arc. The British military desired a higher level of protection, but it is questionable how much better the actual production version was. If you look at the power to weight ratio of the Shir 2, you'll notice that it should weigh about 63-65 metric tons - like the Chieftain-based Shir (Iran) 1, the second version was also fitted with the Condor Perkins V12 engine developing 1,200 hp. There is quite some time between the date of the document (1978) and the introduction of the Challenger 1, so they could have adopted a new generation of Burlington armor or at least chosen to integrate another variant, which was more optimized against KE. 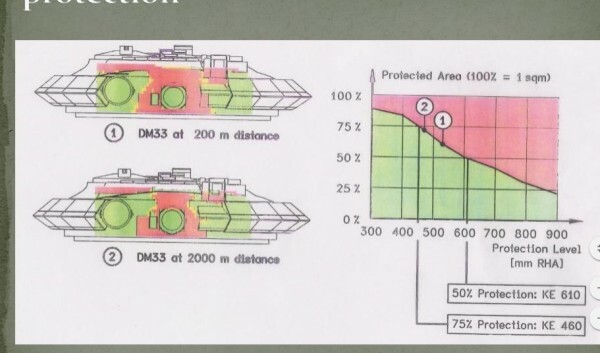 However I think your "620 mm RHAe for a LOS thickness of up to 850 mm" is a rather far stretch: the desired protection for the MBT-80 was to resist 125 mm APFSDS at distance along the frontal arc (est. penetration 445 to 460 mm at that range). The table lists the MBT-80 with a protection level of 430(+) mm. I think this should give us a ballpark estimate for armor protection. 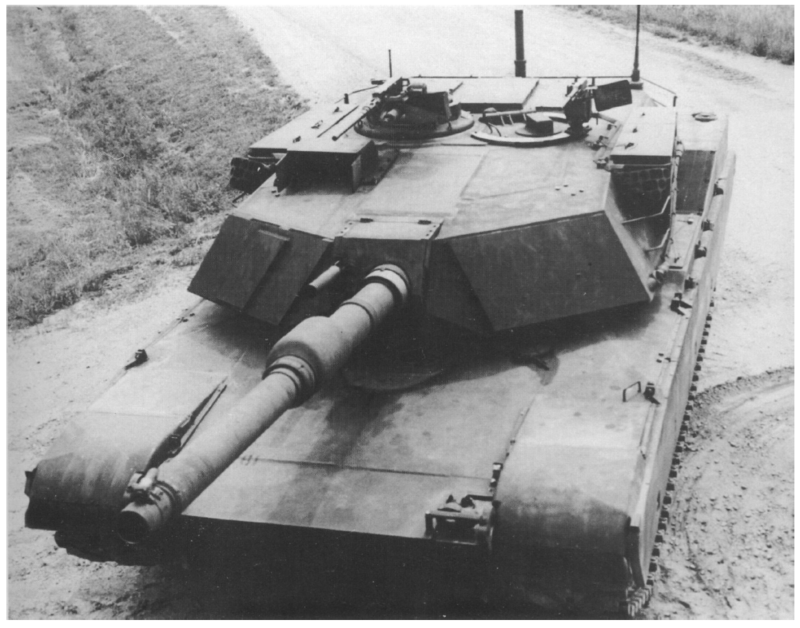 Please note that the MBT-80 was expected to achieve such a high level of protection thanks to the usage of aluminium armor for the rear section of the vehicle, an idea that the British FVRDE was very fond of, as various other projects show (older projects such as the Chieftain Mk 5/2, FV 4211, JagdChieftain, and Vickers Valiant used full hulls/turrets made of aluminium). 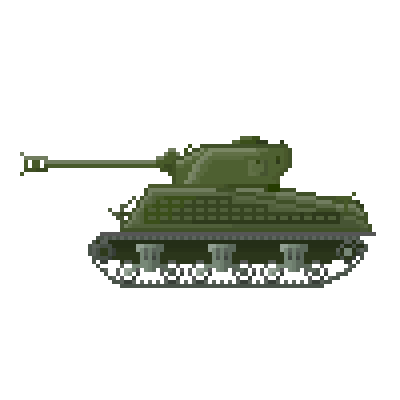 The Chieftain is a very heavy tank for its day, so one should expect a high level of protection; but it is also very large with a rather heavy gun. The British themselves claimed that the M1A1 HA has better protectiton at the frontal turret arc than the Challenger 2 prototype design from 1988, which was supposed to offer improved protection over the Challenger 1. 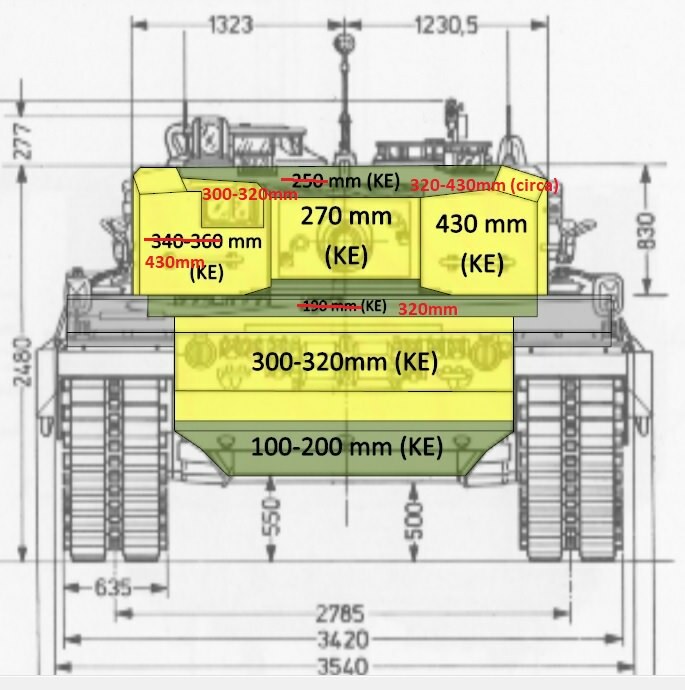 Over the years I've seen thickness values for the Leopard 2A4 ranging from 500 to 900 mm (we've gotten a confirmation that it's ~860 mm), from 600 to 800 mm for the M1 Abrams and from 750 to 1,000 mm for the M1A2... given that range I'd be rather careful to base armor protection estimates on "guesstimated" thickness values. Aside of statements from Zaloga, I've yet to see actual proof that the physical thickness on the M1IP/M1A1 was increased over the M1 Abrams. I don't know where you got the 440 mm RHAe vs KE for the M1 Abrams. The CIA document from 1982 revealed that "one version" (which we just assume that it is the basic model - in theory it could have been the design for the M1IP/M1A1: the M1E1 prototypes with weight demonstrators to resemble the armor package then in the making were delivered in March 1981) had 400 mm RHAe vs KE at the turret; there is no statement made regarding wether this protection is achieved along the frontal arc or this is just achieved when the turret is directly hit from the front. In theory both the British and the CIA estimates could fit together, with the turret achieving 340 mm steel-equivalent protection when hit at a 20-25° angle (nullifying the slope along the horizontal axis) and 400 mm steel-equivalent protection when hit directly from the front. Given that composite armor elements such as NERA panels, STEF, glass and ceramic tiles provide different protection at different angles, it could very well be that the efficiency increases with at larger impact angles (and thus lowered thickness) to provide a more consistent level of protection. 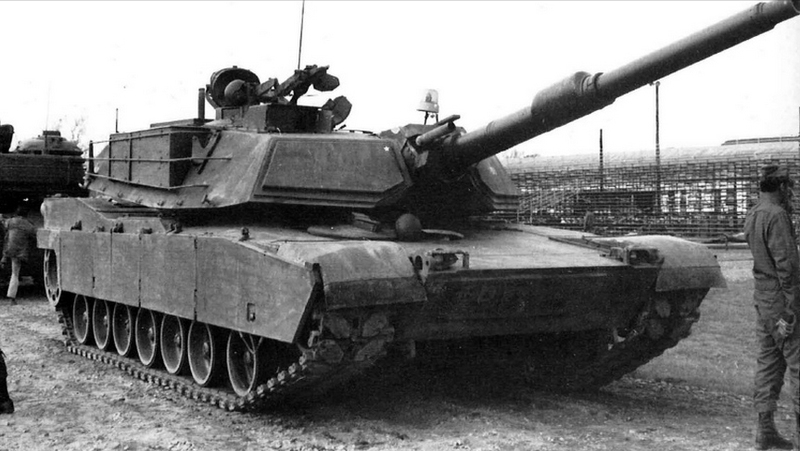 For the M1A1, I think we can use the M1 Abrams' armor protection as a basis and use the weight simulators of the M1E1 as a reference how much armor weight was added. Given an anti-KE mass efficiency of 1 to 1.5 (based on British documents on the development of Chobham), the M1A1's armor protection could be estimated. That seems to be a mass increase of about 15- 20 mm per m² on the lower hull and 70 - 100 mm per m² on the turret. Kinda makes the 380 mm CIA estimate very likely (for the hull; turret at 20-25°) if we use the British estimates as base. The export M1A2 has 600 mm vs KE for the turret armor along the frontal arc. 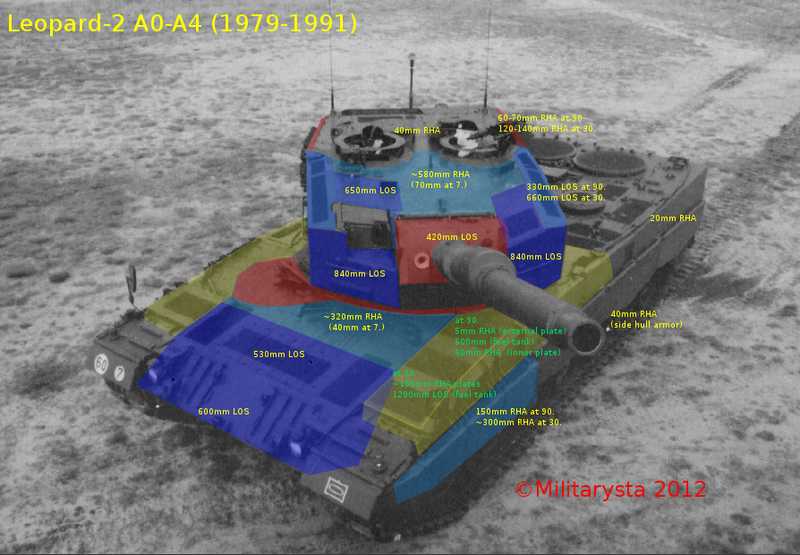 If we assume that the armor efficiency stays the same regardless of angle, that would be 640 to 660 mm from the front (depending on which side of the turret front is hit due to their different angles). 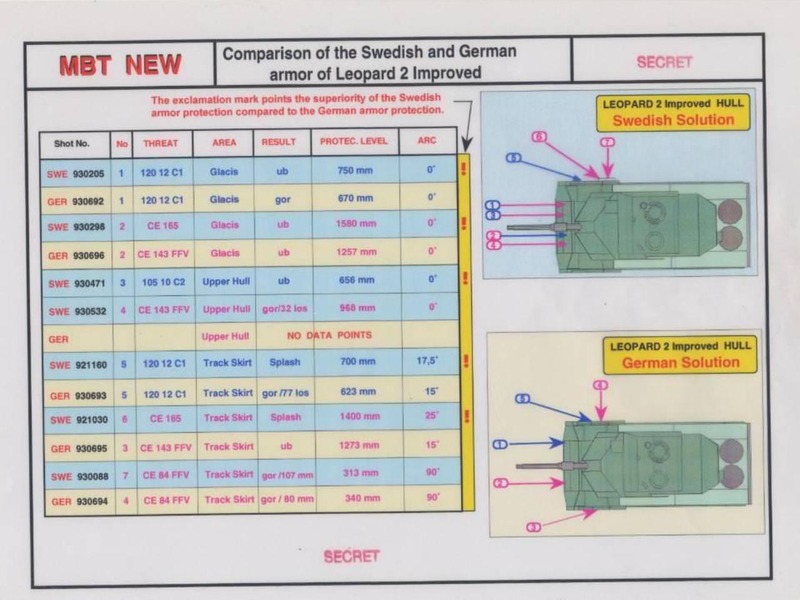 As for your model of the Leopard 2: I don't think it is very accurate. 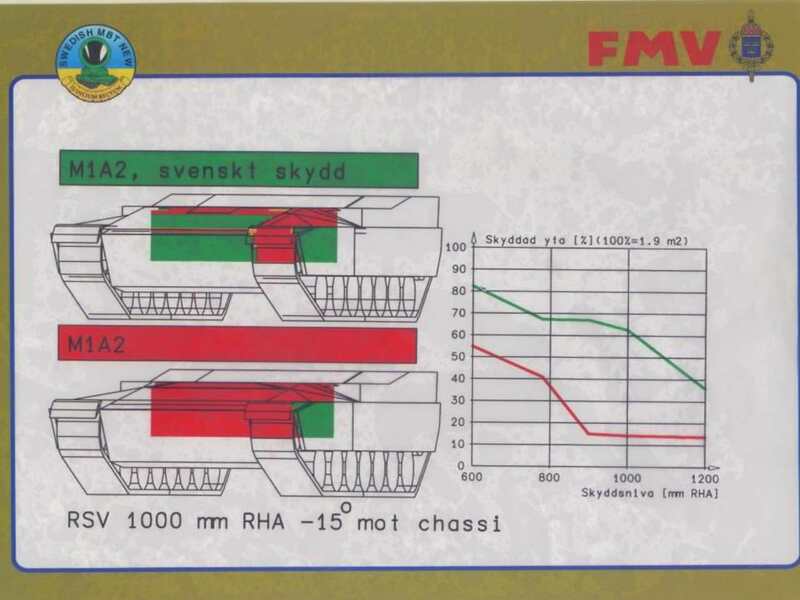 According to the Swedish documents, last slide, about 20% of the Leopard 2's frontal projection reach 400 mm RHAe vs KE or higher; in your drawing it is roughly 17% of the turret only. Given that the hull has a similar surface area, I think you should at least double the area with 400+ mm steel-equivalent protection vs KE. But due to the fact that the protection provided by composite armor depends on the specfici interaction between armor array and penetrator, I personally wouldn't want to use singular values for armor protection. Early Soviet APFSDS ammo (and some NATO types like M735) was really, really bad at defeating everything other than a simple steel plate. The DM13 was specifically optimized to defeat multiple spaced steel plates, because the earlier APFSDS ammo designs (used for the M735 and the MBT-70's APFSDS ammo) couldn't do that. The above is a composition from various sources, so I wouldn't rate that reliable. First of all the drawing used by Hilmes didn't include a backplate (it was censored), so the line drawn in the photo is not really accurate. IRL the thickness of the center plate is parallel to the outer plate - it only gets thinner at the top (where the slope is increased to provide sufficient protection against older types of ammo) and at the lower section (where the tank is less likely hit). 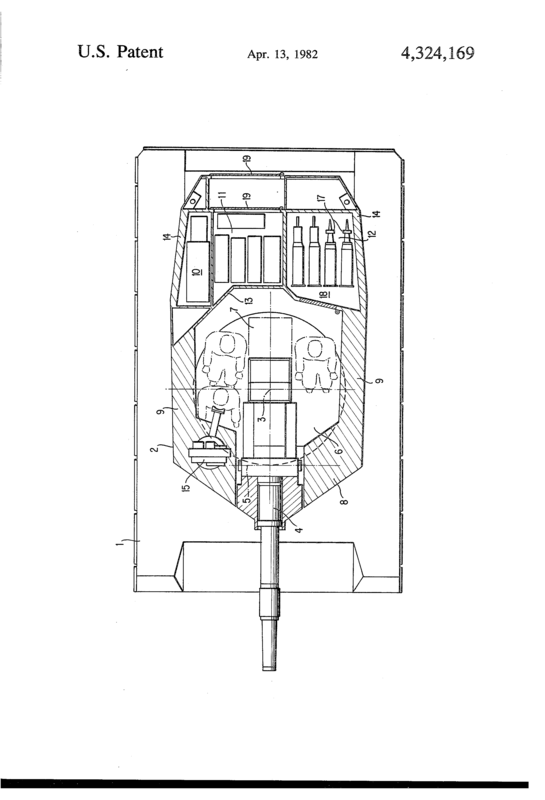 The image section showing the turret is from a patent regarding a new recoil mechanism, which would sit within the left and right corner of the turret, rather than on the gun. This would require redesigning the complete turret, so I wouldn't necessarily consider that a reliable source. There are also patent drawings showing a cicrcular hole in the armor for the EMES-15, we know that this is not true.